Going to catch hell for this one, but I could not resist. As she was putting together her course schedule for spring, Catherine contemplated scuba diving to meet her PE requirement. It turns out that will have to wait for another semester, but her excitement around getting back in the pool had me remembering all. those. Saturdays. spent sitting poolside at the YWCA. 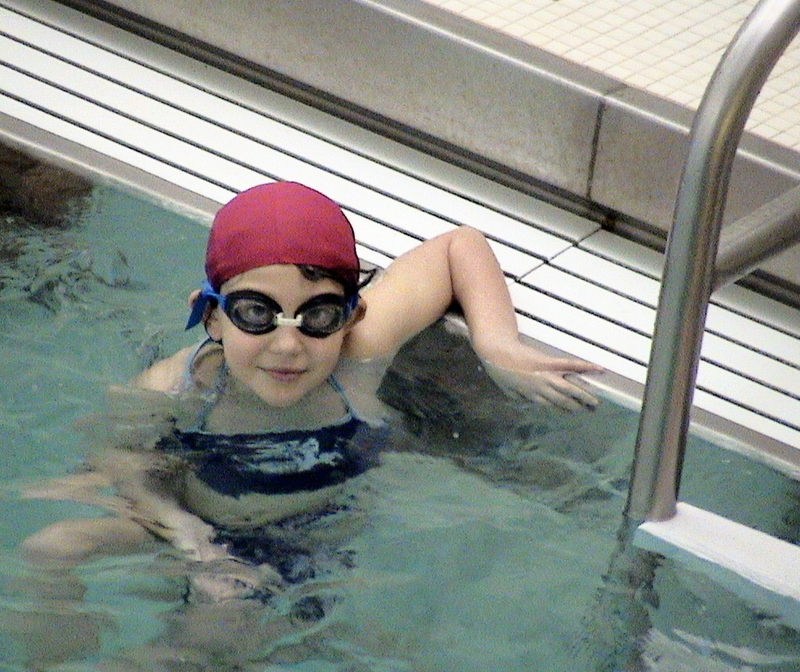 She took swim lessons from the time she was 3 until she was in middle school. It did not start well. Oh there was high excitement the day she took the placement test. She flung herself off the side of the pool with abandon and into the waiting arms of a Y staff member. But it was briefly down hill from there. She spent a lot of the first year crying on the pool deck, petrified to get back in. Several wonderful instructors helped her overcome the fear and in short order, she got quite good. She was a real fish — even asked to consider joining the Y’s swim team (she declined). This photo is from 2006, when Catherine was 10. Saturday after Saturday all year long, she suited up and worked to perfect her strokes (she has a killer butterfly) and diving efforts (standing on those blocks is kinda scary) while I watched from the steamy balcony, a thousand conversations and splashes echoing off the tile. I hope she doesn’t wait for the scheduling to work to get into the pool at Hofstra. She doesn’t yet realize it, but diving in will feel like coming home.